DOLPHIN FINISHING PUTTY is a premium two component polyester paste used for the filling of dents and imperfections in most substrates. 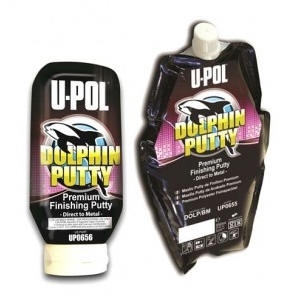 Made with the finest European resins, DOLPHIN FINISHING PUTTY’S formulation uses sophisticated lightweight technology to produce excellent filling properties, combined with smooth application and effortless sanding. Effortless sanding - even after 24 hours.